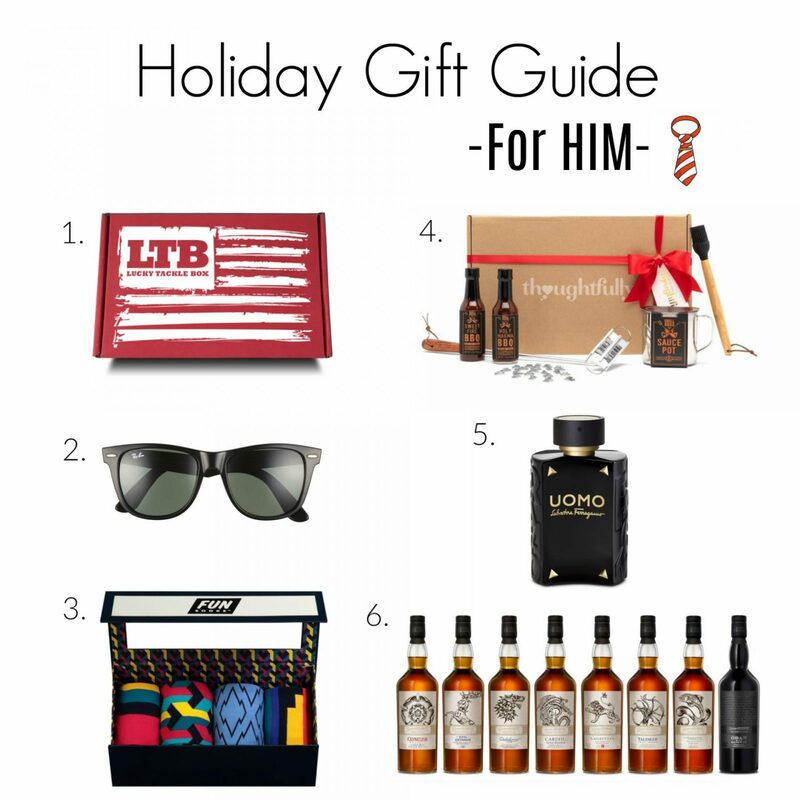 What do you get the guy in your life that has it all? Here are a few items that are sure to be a hit this holiday season! 1. Do you have a Fisherman in your life? Lucky Tackle Box is the premier monthly subscription box in fishing. For one low monthly fee, Lucky Tackle Box will ship a box jam-packed full of the best new lures and baits every month! You can do a month subscription or pre-purchase a 3, 6 or 12 month package. 2. A pair of classic shades will always be a perfect gift in my opinion. The Ray-Ban Wayfarer is simply the most recognizable style in sunglasses. Always classic, always in style. 3. Some people might think socks are an odd gift, but I think they are actually a really great gift, especially when you can let the person you are gifting them to, show off their personality. This pre-assorted, 4-piece gift set, from FunSocks makes the perfect present for the guy in your life that constantly lives in dress socks but wants to make his look a little more bold…. and bright! 4. Thoughtfully is one of my favorite sites for gift buying for every special occasion and holiday. This Branded & Grilled BBQ set is perfect for the BBQ King in your life. This gift set includes a stainless steel basting mug, silicone brush with wood handle, two delicious sauces, and a customizable branding iron to add the finishing touch to their perfectly charred creations. 5. Give the gift of scent this year dressed in a limited edition bottle. For this festive season, Uomo Salvatore Ferragamo seduces with a ‘shiny black&gold’ dress code inspired by the most magnetic outfit of the year, made of luxurious studs. Inside, the iconic oriental woody fragrance. 6. Do you have a GOT lover in the family? Diageo has officially unveiled the Game of Thrones Single Malt Scotch Whisky Collection. The collection is a set of eight whiskies intended to “honor the great houses and the Night’s Watch” with single malts from Cardhu, Clynelish, Dalwhinnie, Lagavulin, Oban, Royal Lochnagar, The Singleton, and Talisker. This would be a great gift for not only a Game of Thrones fan, but a Whisky lover.